Sew What's Up • View thread - Free Christmas Panels to any regular poster. 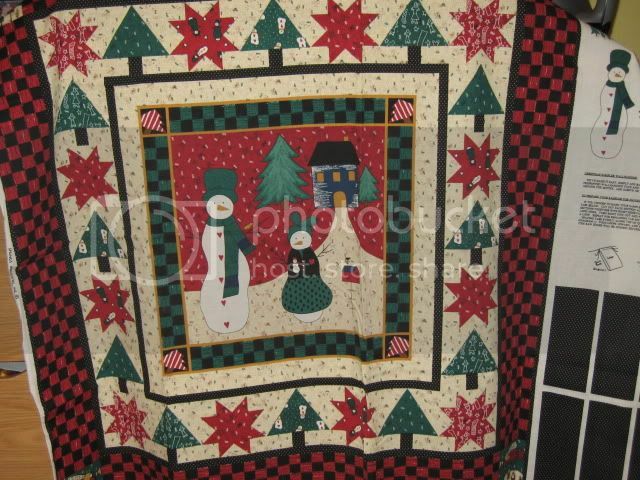 Free Christmas Panels to any regular poster. 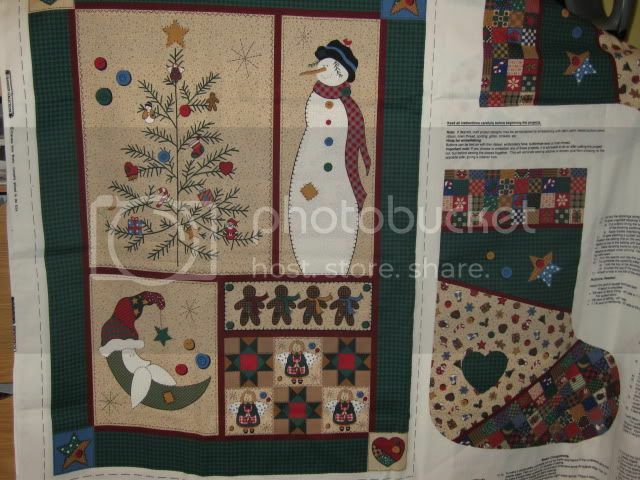 Re: Free Christmas Panels to any regular poster. Maybe I will make believe I won Bingo & this is my prize! The way I am going I might not get 10 words before we are done! Bringing this back up since they really are nice panels. Don't want anyone to miss the opportunity! Carmen??? Still interested?? Lennie, I like them too but have so many of my own that I haven't made up that I'll let someone else have them. They are great though. lendube wrote: Bringing this back up since they really are nice panels. Don't want anyone to miss the opportunity! Carmen??? Still interested?? So what is still up for the asking?? 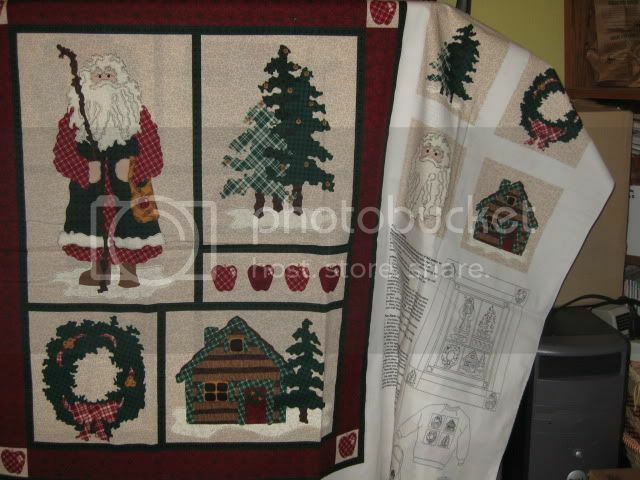 Karen, I sent off the three square pillow type panels to Barb along with the big piece with the 5 square Santa panels. Packaged up it was just about $2.50 to send. Okay, here you go, Karen (and anyone else). I know the two pictures make it really hard to make out the pieces. Here are links to the individual pieces that are left. Thanks Lennie! My fabric arrived today! I will get a check in the mail to you within the next few days. Hey Barb, that was fast! From Sat. to Tues. Not bad considering the time of year and distance. Wow! And absolutely take your time. I feel funny even letting you send anything since it's such a small amount. I figured there'd be a lot more interested ladies. 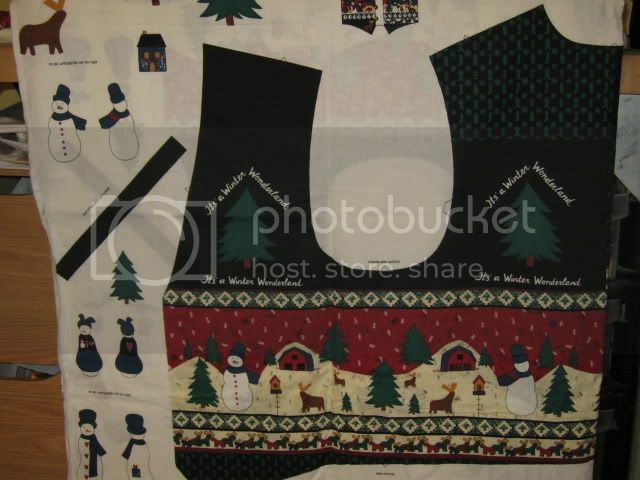 I would like one of the panels with either the Santa or the snowman. Think they would be a good wall hanging project to try since I've never made a wall hanging. 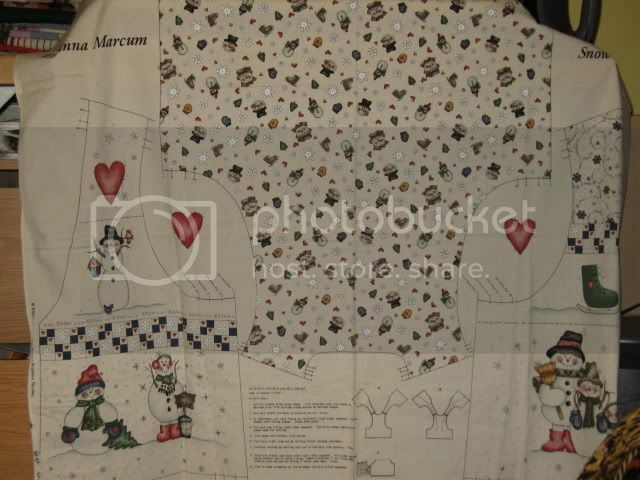 Are either of those applique? Or I would be interested in 1 of each of the ones that you have 2 of.